Lots of impressive first-evers and inspiring discoveries took place in space exploration this year. And with several more tantalizing missions planned in 2019, it looks like we're in for a great run. NASA's Insight lander both launched from Earth and landed on Mars this year. On Nov. 26 the spacecraft successfully executed the chain of mission-critical maneuvers that took it from 12,300 miles per hour to zero in just six-and-a half-minutes. With Insight now resting safely on the flat plain of Elysium Planitia, engineers are preparing and testing its instruments for the two-year mission to give us a peek inside Mars. 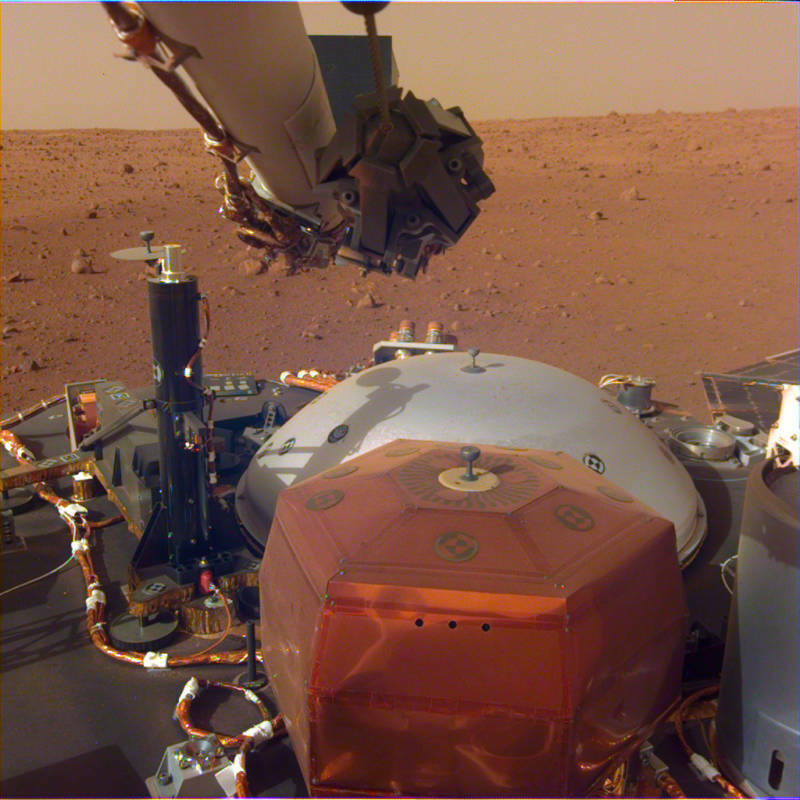 In its first week in residence on the planet, Insight let us listen to the sound of Martian wind blowing across the spacecraft's sensitive seismometer -- the instrument that will listen for "Marsquakes" and let scientists create sonogram-like maps of Mars' interior. 2018 saw both the demise of the highly successful extrasolar-planet- hunting space telescope Kepler and the launch of TESS, a next-generation exoplanet-discovery mission. The durable Kepler, responsible for discovering 2,328 exoplanets, finally ran out of fuel on Oct. 30, and NASA declared the space telescope retired. Launched in 2009, Kepler's mission was to find exoplanets around Earth's size and located within their star's "habitable zone," the correct distance for the existence of liquid water on the surface. Kepler discovered 361 exoplanets within habitable zones, and a little more than 100 of these are approximately Earth-sized. In April, NASA launched TESS, the Transiting Exoplanet Survey Satellite, which will continue the hunt, looking for exoplanets orbiting bright, nearby stars. Scientists predict that over the course of its initial two-year mission, TESS will detect 20,000 exoplanets, compared to the approximately 3,800 total confirmed at the time of its launch. As of November this year, TESS had already scored its first detection. In August, NASA launched the first-ever mission to the sun: the Parker Solar Probe. Previously, all solar exploration had been from afar, using Earth- and space-based telescopes and space weather monitoring instruments. In early November, the spacecraft came within 15 million miles of the sun's visible surface -- that's less than half the distance between the sun and the planet Mercury -- and sent back the first pictures taken from inside its extended corona. In the months ahead, Parker will gradually draw closer to the sun with every long, looping orbit. 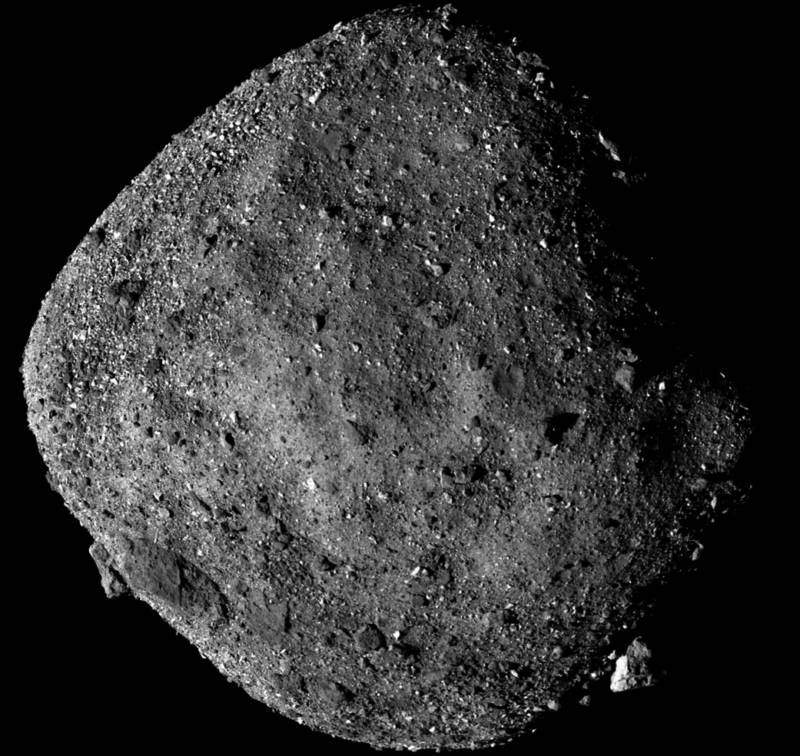 Though NASA's OSIRIS REx spacecraft won't enter into orbit of its scientific target, asteroid Bennu, until Dec. 31, it's now close enough to begin investigating that lump of primordial rubble. And it's already made a fascinating discovery: Bennu's composition includes hydrated minerals, indicating that the material interacted with water in the past. Bennu, with a mean radius of only 262 feet, is too small ever to have harbored liquid water, but the discovery shows that Bennu's parent body -- a much larger asteroid from which Bennu formed, possibly due to a cataclysmic collision -- did. This makes Bennu a remarkably good choice to study in order to learn more about conditions during the early formation of the solar system. In 2023, OSIRIX REx will return to Earth with samples of Bennu for scientists to examine in the lab. On Oct. 20, Bepicolombo, a joint mission of the European Space Agency and the Japanese Aerospace Exploration Agency, was launched on a journey to the planet Mercury. Bepicolombo will become only the third mission to explore our solar system's smallest planet, after NASA's Mariner 10 and MESSENGER spacecraft. Bepicolombo won't head for Mercury immediately, but it will spend the months ahead making course-altering flybys of Earth, Venus, and Mercury itself. In 2025, the spacecraft will enter Mercury orbit and begin a comprehensive investigation of the planet's magnetic field and its interior and exterior structure. The Japanese Aerospace Exploration Agency's Hayabusa 2 spacecraft arrived at its target, asteroid 162173 Ryugu, in June, and has since been exploring the roughly half-mile sized rock. Hayabusa 2 will ultimately collect rock samples from the asteroid and return them to Earth in 2020, furthering knowledge of conditions in the earliest times of the solar system's formation. Six years on the heels of Voyager 1's breakaway plunge into interstellar space, the Voyager 2 spacecraft has also reached that frontier, cruising through the boundary of the sun's heliosphere on Nov. 5. The heliosphere is the "bubble" of plasma and magnetic fields blown into space by the sun. Within the heliosphere, plasma temperature and density is dominated by the sun's influence. Beyond its boundary, the gases are both cooler and denser, in the medium of interstellar space that stretches across the light years between stars. 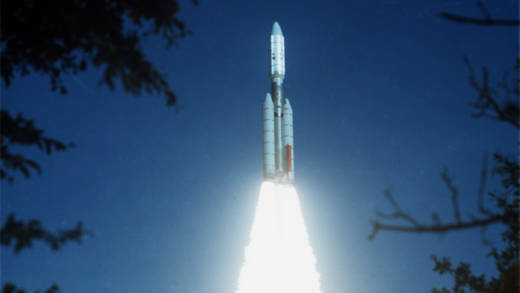 Now more than 35 years since launching, both Voyager spacecraft are our eyes and ears in the most distant regions of space that we have reached. In the next few years, NASA will begin a gradual shutdown of the Voyagers' systems as power levels dwindle, and by 2025 both will go silent. Rounding out the year right on the wire, New Horizons, now three-and-a-half years after its historic flyby of Pluto, will make the first-ever close encounter with a Kuiper Belt Object, at 9:33 PM Pacific Time on Dec. 31. The tiny, nuclear-powered probe with pep will cruise within 2,200 miles of the object 2014 MU69, nicknamed Ultima Thule. One of a multitude of small icy objects that populate the solar system beyond Neptune's orbit in the region of the Kuiper Belt, 2014 MU69 will become the most distant object visited by a spacecraft. On deck for 2019: India to launch the Chandrayaan 2 spacecraft to the moon, Israel to launch the SpaceIL lunar landers, OSIRIS-REx will collect a sample of asteroid Bennu, and China will launch the Chang'e 5 lunar sample return mission. When will we have time to catch our breath? Benjamin Burress has been a staff astronomer at Chabot Space & Science Center since 1999. He has also served on NASA’s Kuiper Airborne Observatory at Ames Research Center in Mountain View, Calif., and was Head Observer at the Naval Prototype Optical Interferometer program at Lowell Observatory in Flagstaff, Ariz.